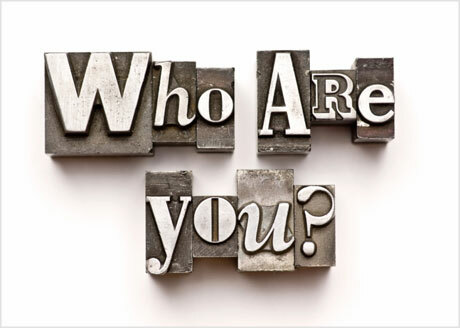 Dave Boring September 30, 2013 September 30, 2013 No Comments on Who Are You? I’m getting started on an e-commerce project at work that should help increase the company’s ability to do business. When thinking about e-commerce we often think of a B2C (business to consumer) site, and not a whole lot more. But when it comes to a B2B (business to business) site, you quickly learn that there is a whole new dynamic involved in the development of the site. Part of that new dynamic involves working with people that may have never considered e-commerce in the past. As this project begins, we chose the backend system that best satisfies our business requirements. The vendor is beginning to build our business rules into their system, making it unique for us. Now it is up to us to build the design of the site, the “lipstick and mascara”, to make it our site with a unique look and feel. Describe this web site’s target audience. What words describe your organization? What web sites or other businesses compete for your customer’s attention? What type of online or offline marketing are your competitors doing? To anyone who has worked with a designer before, these questions are routine. But to someone that has never worked with a designer, the questions may seem odd. For example, I was asked why it matters what our competition does. Why should we take the time to define the web site’s target audience? After all, this is a B2B site, and we just need to get it built so we can start doing business online. That line of questioning conveys the old belief of “build it and they will come.” The problem is, that belief no longer applies in business today. If the world is just waiting for you to build a mousetrap, why would they care if you built a BETTER mousetrap? In reality, people do business with companies that they connect with, for various reasons. If you don’t define who those people are, and why things matter to them, you won’t be getting any business from them. Walmart – Their tag line is “Save money. Live better.” That’s pretty simple and straightforward. They exist for the person that is looking to stretch their budget and get the most for every dollar spent. Target – Their tag line is “Expect more. Pay less.” It’s similar to Walmart’s tag line, but they reversed the order. Target wants you to think about expecting more, about getting more, about getting something unique, and paying less for it. Less than what? They don’t say. Kmart – They don’t really have a tag line on their web site. The page title says “Deals on Furniture, Toys, Clothes, Tools, Tablets, & TVs.” That doesn’t really tell us much, except that I suspect this page title was created for the purpose of higher ranking in Google results. But in a few places on the site I saw “Shop Your Way.” This doesn’t mean a whole lot to me. Does this mean I can shop in the store or online? The other retailers let me do this. Does this mean I can pay with cash or a credit card? The other retailers let me do this (cash in-store). “Shop Your Way” doesn’t tell me much. As far as business goes, Walmart is one of the country’s largest companies with a market cap over $240 billion. Target is also tearing it up, with a market cap over $40 billion. But Sears Holdings (Kmart’s parent company) only has a market cap of $6.3 billion for all the Kmart and Sears stores, Die Hard and Craftsman brands, and Kenmore appliances. If they are all pretty much selling similar stuff for similar prices, why do their businesses vary so greatly? Because each of their target markets is different from the others. As you work to define your company’s brand, you need to make it unique for the people that will do business with you. If you are selling the same widgets as your competitor, something needs to compel the customer to buy from you instead of your competition. If it’s low price, then offer the lowest price with the realization your company may have lower profit margins. If it’s higher service, then offer higher service with the realization that you may lose customers only looking for low prices. 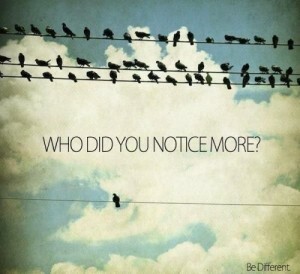 Whatever the reason, it needs to make you stand out from your competition. And this applies to you personally, as well. If you are looking for a job, you don’t want to look like every other job seeker applying for that position. You want your potential employer to look at you, understand your value proposition, and realize why you stand out from the other job seekers. 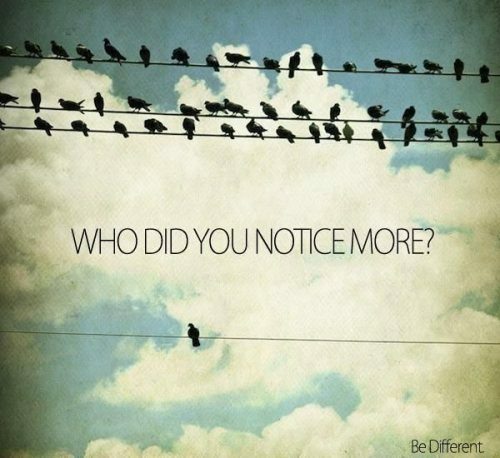 Either way, whether your company or you, you must differentiate yourself. The “field of dreams” is a lie and will only make you suffer. But once you determine what makes you different, build on it and exploit it for success. People will know who you are, and will seek you out for that very reason.